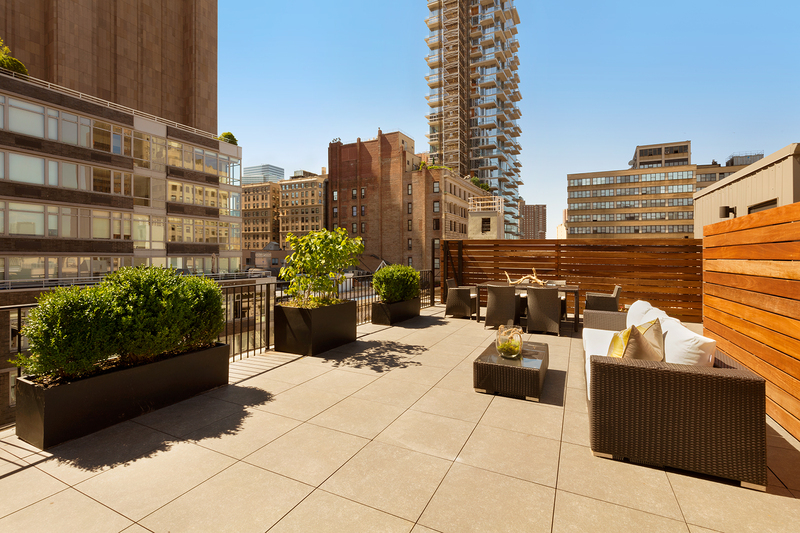 Penthouse A is the ultimate in modern Tribeca living with 3,888 square feet of vast interiors and 1,693 square feet of private outdoor space. Enter the entertaining floor, where floor-to-ceiling windows frame and fill the entire space with light. A wrap-around terrace with outdoor kitchen allows for seamless expansion from the south-facing living and dining areas through three separate French door entryways. The grand home is crowned by a roof terrace with beautiful cityscape views. 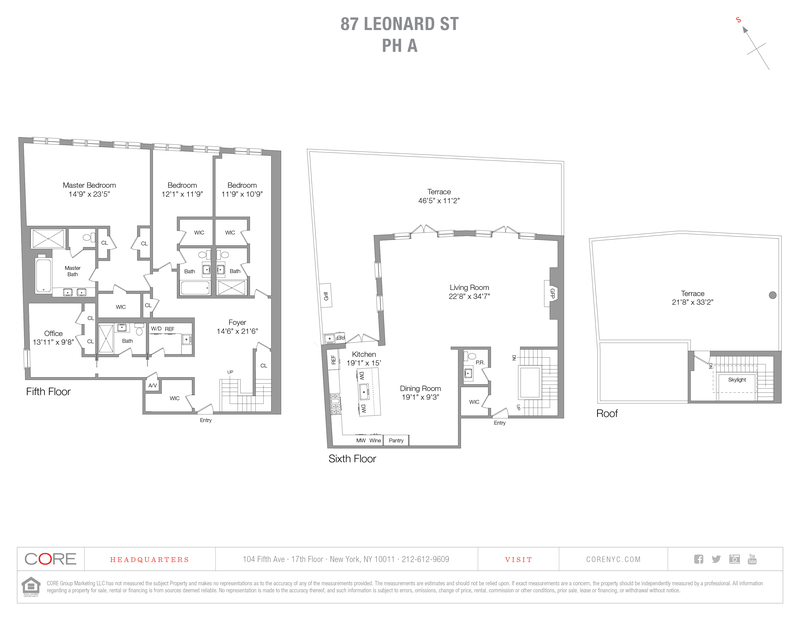 The refined living level, also accessible via keyed elevator, delivers an intimate respite with three bedrooms, all with en-suite baths, in addition to a home office and laundry room. The stunning five-fixture master bath is comprised of Calacatta Gold Marble, vintage herringbone-patterned floors and bath vestibules, nickel-plated hardware, custom vanities, a freestanding porcelain soaking tub and separate glass-enclosed toilet and shower rooms.